Companions is published twice a year and provides a way for friends and supporters to keep up to date with what's happening around the Province. 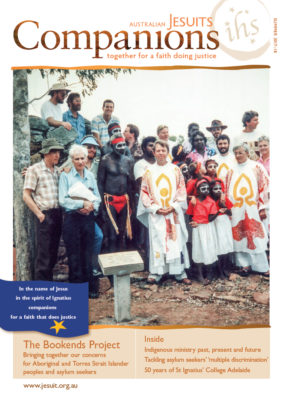 Companions is the magazine of the Australian Jesuit Province and is published twice a year. 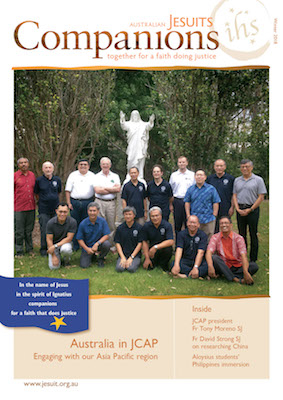 It provides friends and supporters of the Australian Jesuits and their ministries with news from around the Province, highlighting major new Jesuit initiatives. 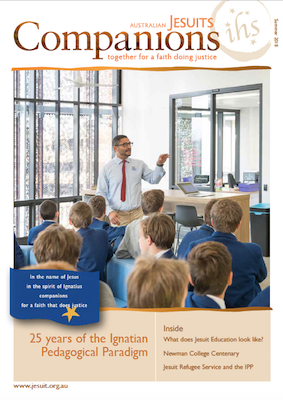 The magazine is distributed through Jesuit schools and parishes, as well as through Jesuit communities. If you would like to be added to the distribution list, please contact us on 03 9810 7300.